It’s the one night of the year every WWE fan looks forward to and every WWE Superstar dreams of headlining. Since 1985, WrestleMania has been the benchmark of success for the WWE. If you ask anyone of their most favorite WWE moment or match, odds are most of them happened at the Grandest Stage of Them All. And with WrestleMania right around the corner, the FlipGeeks team share some of the matches from the Showcase of the Immortals that resonated with them the most, in chronological order. 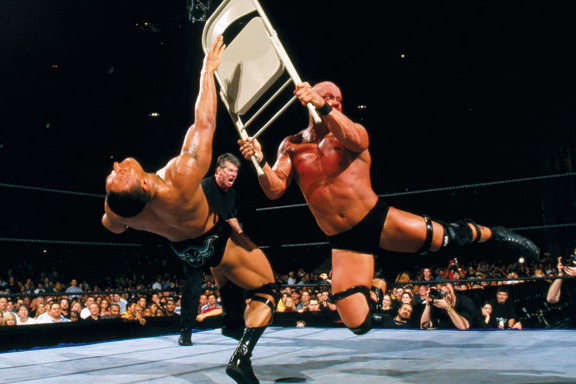 With Ken Shamrock serving as the special guest referee, The Texas Rattlesnake and The Hitman pushed each other to the limit in a no-disqualification submission match for the ages. To this day, the image of Austin sporting a crimson mask as he fought off the Sharpshooter an iconic image in WWE’s history books. And in a rare turn of events, the crowd turned their back on the once-beloved Hart and embraced Austin as their new hero, elevating him to main event status and signaling the start of a paradigm shift to the company’s new attitude. 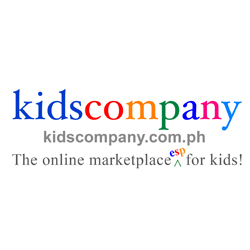 While their previous encounters at last year’s WrestleMania and SummerSlam were epic in their own right, TLC II cemented all participants’ legendary status in tag team wrestling. It wasn’t short on highlights, the most notable being Edge spearing a dangling Jeff Hardy in mid-air, and appearances by Rhyno, Spike Dudley and Lita during the match made it all the more special. Out of all three WrestleMania encounters between two of the Attitude Era’s biggest stars, this made the most impact. Rock was already at the height of his popularity in the ring and started dipping his toes in Hollywood, while Austin was regaining his momentum after being sidelined for nine months to recuperate from neck surgery. After a hard fought match between the two competitors, Austin walked away the victor after repeated chair shots to Rock’s skull. This would also be memorable as the night hell froze over when Austin shook hands with Mr. McMahon. With the exception of championship titles on the line, the similarities between this match and Hogan’s encounter with the Ultimate Warrior 12 years prior are seemingly uncanny–Two Superstars who defined perhaps two of the greatest eras in WWE history going head-to-head at WrestleMania in Toronto’s SkyDome. In one corner was Hogan, who championed wrestling’s Golden Age back in the 1980s. In the other was The Rock, one of the many Superstars whose popularity skyrocketed during the Attitude Era. While Rock may have established himself as the People’s Champion and came out on top, the fans in attendance were fueled by the power of Hulkamania and eventually led the Hulkster to don the yellow and red once again. After a career-threatening quad injury that kept him out of action for over eight months, Triple H was poised to reclaim his throne. The Cerebral Assassin earned his shot at the Undisputed WWE Championship by outlasting 29 other men in the 2002 Royal Rumble and the only obstacle left was Chris Jericho, who was accompanied by Stephanie McMahon. 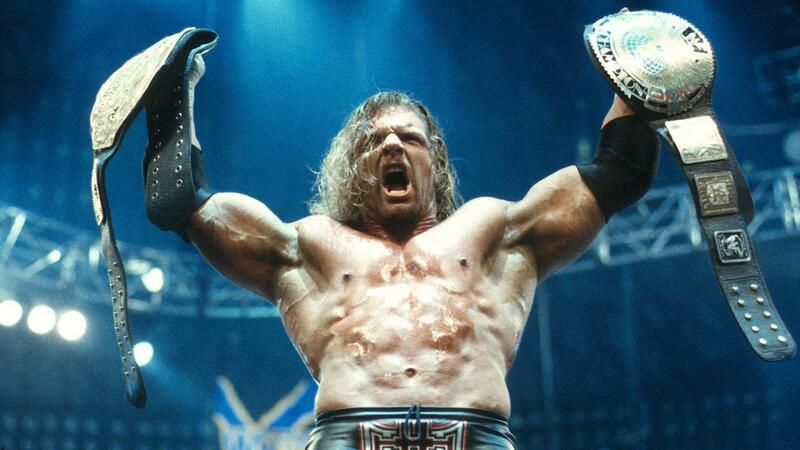 After a hard-fought battle against the self-professed King of the World, Triple H climbed back to the top of the mountain and became the new Undisputed WWE Champion. 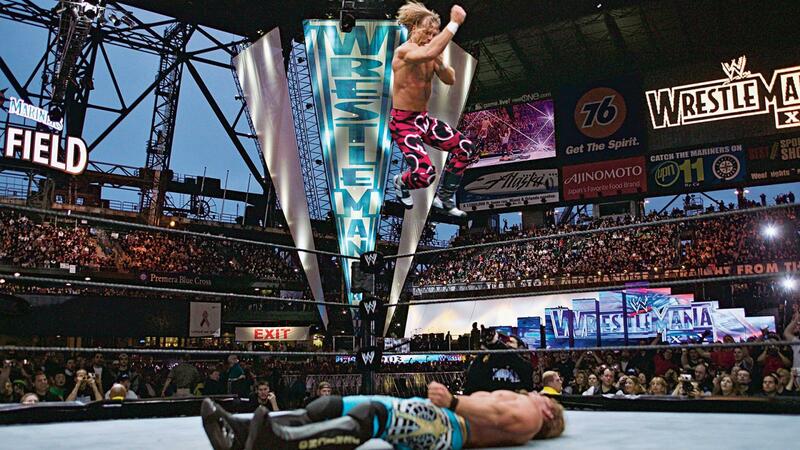 One of Chris Jericho’s favorite matches was against his childhood hero, who was making his WrestleMania comeback after his retirement five years ago. With both men showing relatively similar styles and a carefully drawn-out story throughout the match, this could be considered the Savage vs. Steamboat of the Ruthless Aggression Era. The hug shared by both men after the match followed by a low blow dealt by Jericho, still seething from his loss via roll-up, was the icing on the cake. It’s hard to believe that this was the very first time Undertaker and Shawn Michaels faced each other at WrestleMania, despite being two of the longest-tenured Superstars in WWE history. However, it was befitting that they squared off on the event’s 25th anniversary and stole the show. It made such a lasting impression among WWE fans that it’s almost a crime to not include this match in their Top 3 all-time favorite WrestleMania matches. If anyone followed Daniel Bryan’s story from SummerSlam 2013, then WrestleMania was the culmination of a long and arduous road for WWE’s resident Yes! Man. Already banged up from an assault by Triple H after their match at the start of the event, Bryan took the brunt of the offense throughout the match. But despite being nearly incapacitated especially by a Batista Bomb-RKO combination onto the Spanish announce table, Bryan dug down deep and overcame the odds, eventually making Batista tap out to the Yes! Lock after hitting his patented running knee on Orton. And, as fate would seem to have it, the Bearded One would make his in-ring return in the very same event and at the very same place where he won the WWE World Heavyweight Championship. 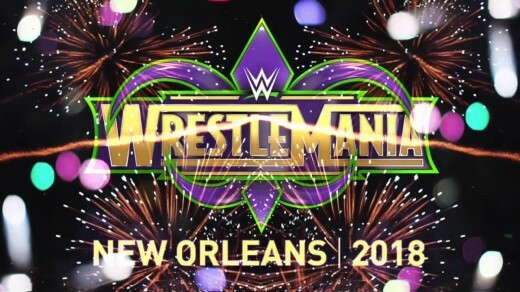 This year, WrestleMania takes place once again at the New Orleans Superdome. What memorable moments are in store for Superstars and fans alike? Tune in on April 8, 2018 at 7:00 PM ET/4:00 PM PT and relive your favorite WrestleMania moments from years past on demand, only on the WWE Network. Emjay wears multiple hats -- communications specialist, aspiring Power Ranger, wrestling fan, sneakerhead, comic book reader, member of the Grizz Nation, part-time musician/full-time music lover, Grove Street OG, occasional photo/video editor (mostly memes), and protector of Earthrealm. REVIEW: Did WrestleMania 32 Remain Electrifying? HERE COMES THE PAIN! CAN BROCK LESNAR END UNDERTAKER’s STREAK AT WRESTLEMANIA? Are You Ready for WWE: NXT TAKEOVER in Comic Books?